How to coach Millennials, given there are to be many! The millennials have woken up, and it turns out they are different in manys ways besides the hair do! As an executive and leadership coach, I like to think that I treat everyone who walks through my door equally and that the essential process of coaching is consistent between individual clients. These statistics above got me thinking about how many of my clients are already Millennials, and about how well I cater for their needs. There’s a lot of stuff written about Millennials, otherwise known as Gen Y, Gen Me, Echo Boomers or the Net Generation. I hesitate to buy into all these generalisations because a lot of the research is done with white middle class (American or developed world) young people, who are the children of baby boomers, who were themselves a product of western world historical conditions. Whether this cohort can somehow reflect the characteristics of all Millennials worldwide, is doubtful. On my home turf, Australia, we could reasonably say that Millennials are urban, tech savvy, and live on social media. Being the children of helicopter boomer parents, they have been encouraged and rewarded all their lives, and have high expectations of that affirmation continuing in the workplace. I think its fair to say that they are open to change, quick to learn, like lots of feedback and want to be inspired and remunerated– otherwise, they are quite likely to leave an organisation. Whether they are easily bored, narcissistic, unwilling to do repetitive work and have a sense of entitlement, I really don’t know. Categorizing people goes against the grain I’m afraid! OK so how do you coach Millennials? Here are five tips from my experience. Millennials look to their managers for ongoing and frequent feedback. Many managers, whether frontline or middle management, are not skilled for this real time feedback model, so it’s important to upskill managers on coaching as a performance management tool. An HBR (Willyerd, 2011)[ii] study found that Millennials want feedback 50% more often than other groups, and look to their manager for that feedback. Sadly only 46% found the manager feedback adequate. See the graph below on the feedback frequency expected by Millennials (Willyerd 2011). Being ‘digital natives’[iii], Millennials expect and are at home with online learning. In our company, we are now doing a lot with coaching models that work at all levels of the organisation. We call this coachlive, and it involves a blend of online, virtual and real time strategies. Our experience so far is that it works really well with this group. It’s a good thing. This cohort is used to being treated as individuals by their parents and having a say. Giving kids a say was definitely an innovation of the ‘80’s and ‘90’s. I know because I didn’t get one! These people like to see how their work fits into the big picture, and they are not afraid to ask questions. Millennials like ‘short, sharp and entertaining bursts’ of information. [iv] They like to be engaged and inspired. My experience with coaching people who are in the 20-30 year age group is that they are very responsive and keen to develop their careers. They are exciting people to work with. Coaching is in many ways the ideal development strategy for Millennials, as it is an individualised tool. Try some different approaches, such as reverse or two-way mentoring: the younger person gets the benefit of attention from senior people, and are able to be recognised for their own expertise – technology and social media. If you are coaching Millennials, the main thing is to have some fun. These people are wonderful. Described by one researcher as ‘pragmatic idealists’, they easily support contemporary issues such as gay marriage and welcoming refugees. They are up to speed with issues like sustainability, climate change and testing on animals. It’s interesting that in the US primaries, Bernie Sanders got more votes from people under 30 than Trump and Clinton combined. In the UK it was the Millennials who opposed Brexit, and now feel cheated of the opportunities of connecting and working across cultures/economies. In the workplace, they are less interested in hierarchies and more interested in collaborative teamwork. However, they also want to succeed and make money. They will only stay loyal to a company as long as they are inspired to be there. These are refreshing people to work with: they keep my coaching mind flexible and creative. [iv] Thorne, Pamela. Wired and worldly engaging Gen Y learners. Training and Development in Australia; v.38 n.6 p.16-17; December 2011. 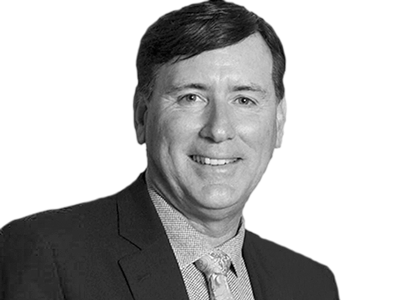 Glenn is an executive coach and consultant with a Masters of Science (Coaching Psychology) with over 25 years experience with senior executives in government, not-for-profit and corporate. Glenn is known for delivering value beyond what I've been engaged to do, bringing together a wide range of experiences to deliver at the highest level. Glenn coaches people to be good leaders, to increase the reach and effectiveness they have in their communities. Glenn's passion is seeing the impact on people's lives through coaching. The shape of leadership is changing and now "What got you here, won't get your there..."